CAPE CANAVERAL — Revolutionizing the way American meteorologists see the weather, likened to the advancement from black and white television to modern high definition TV, a new observatory was successfully launched Saturday by an Atlas 5 rocket to serve as the linchpin to forecasting what tomorrow will bring. The United Launch Alliance Atlas 5 rocket with the Geostationary Operational Environmental Satellite-R, or GOES-R, roared away from Cape Canaveral at 6:42 p.m. EST (2342 GMT). The launch was delayed an hour while engineers verified a potential concern with a component on another rocket was no threat to the Atlas, then worked an undisclosed problem with the Eastern Range. But those issues were resolved in time for liftoff to occur at the very last moment in the day’s hour-long launch opportunity. “The flight hardware performed beautifully throughout the count and the weather was perfect,” said Omar Baez, the NASA launch director. Liftoff begin three-and-a-half hours of highly complex maneuvers and in-space engine firings that propelled the 11,500-pound spacecraft into a customized elliptical orbit stretching from 5,000 to 22,000 miles and tilted 10 degrees, using the Atlas-Centaur’s capabilities to save the satellite’s precious onboard fuel supply. At 10:14 p.m. EST (0314 GMT), GOES-R was deployed to fly freely, then unfolded its power-generating solar array minutes later, beginning a 20-year lifespan observing the weather across the Western Hemisphere — specifically the continental United States — with unprecedented resolution and speed. 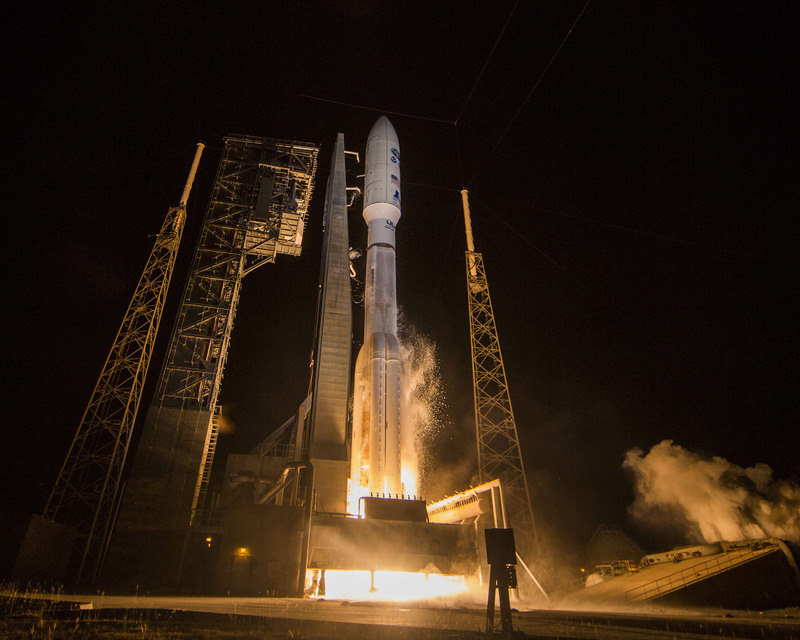 It marked the 138th successful launch in a row for the Atlas program spanning 23 years, the 67th for the Atlas 5 over the span of 14 years, the second in just 8 days, and extended United Launch Alliance’s mission record to 113 in nearly 10 years. “NASA has chosen one of the most reliable launch vehicles in the world to go put the GOES-R spacecraft up into orbit,” said Scott Messer, program manager for NASA Missions at United Launch Alliance. What’s more, it also represented the milestone-setting 100th flight for the Evolved Expendable Launch Vehicle program by the combined Atlas 5 and Delta 4 rocket fleets. Both families were created commercially, with seed money from the Air Force, to serve the national needs of the U.S.
EELV has launched at least 633,000 pounds of cargo into space, and that’s not counting 27 flights with classified payload masses that likely push the total close to one million pounds in 100 flights. 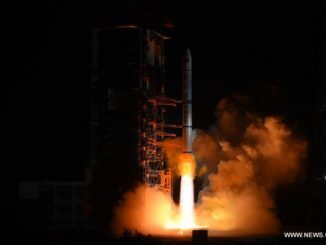 All 100 EELV launches have been deemed successful by the customers of each, which have ranged from military to spy satellites and civil science missions to commercial spacecraft. 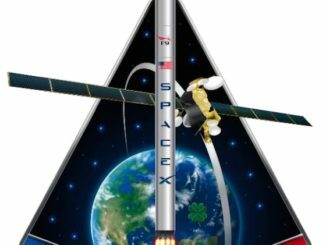 “GOES-R is a historic mission. 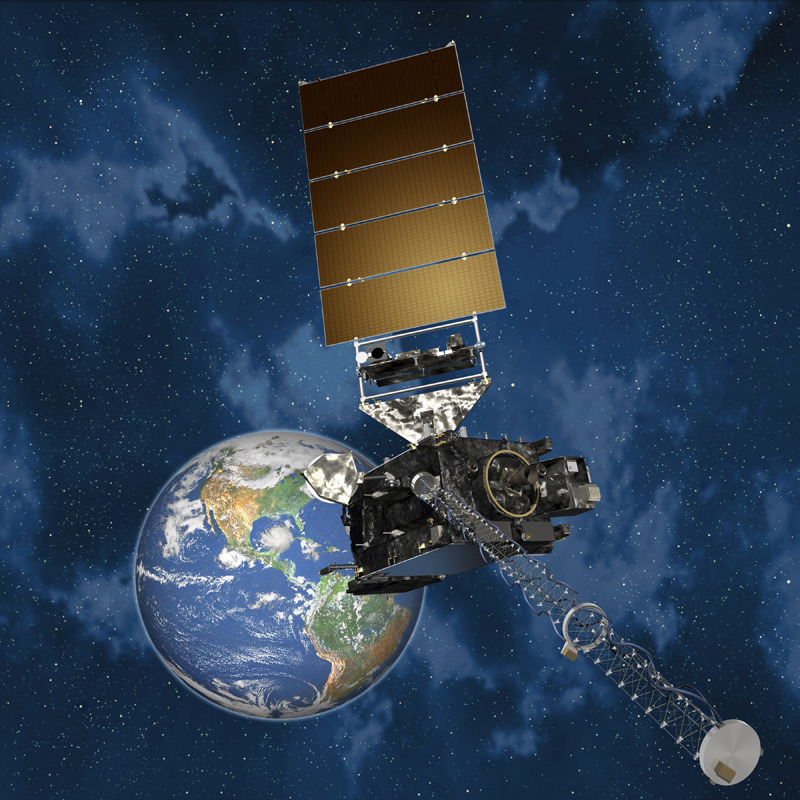 It will be the most sophisticated weather satellite that NOAA has ever operated, with new technology never before seen and used in a geostationary orbit for forecasting,” said Greg Mandt, NOAA’s GOES-R program manager. The Lockheed Martin-built craft is the first of four that will be launched through 2024, ensure U.S. weather observations through at least 2036 as part of an $11 billion development effort. The satellites promise to dramatically improve the timeliness and accuracy of weather forecasts and warnings. “For 40 years, we’ve sort of had the same simple pictures. Meteorologists are calling this a game-changer from their ability to watch what’s going on and warn the nation,” said Mandt. Officials estimate GOES-R will transmit more data in six months of operation than all previous GOES weather satellites combined. The heart of GOES-R is its Advanced Baseline Imager, the sophisticated digital camera that offers more embedded data at higher resolution taken in quicker intervals than ever before. “When we see an evolving weather system, we’ll be able to zoom in and use that high spatial resolution to take pictures in 16 different spectral channels every 30 seconds,” said Joe Pica, director of the National Weather Service Office of Observations. ABI will produce 95 percent of the data from GOES-R, downlinking the equivalent of 210 HD movies every day. The current GOES satellites are capable of taking a full picture of the hemisphere every 27 minutes and can zoom in to an area of interest — like a thunderstorm or hurricane — to image that every five minutes. GOES-R will improve those times significantly, scanning from pole to pole every five minutes and refreshing the view of targeted storms every 30 seconds to better probe the rapid intensification or weakening. And the ABI takes just 22 horizontal strips — like your mobile phone’s camera in panorama mode — to cover the whole hemisphere compared to 1,356 strips by the existing GOES generation. “We are really excited about the increase in temporal resolution to receive data for the continental United States at five-minute intervals and have the options to receive data for specific events — like hurricanes — at 30-second looks,” said Louis Uccellini, director of the National Weather Service. ABI, manufactured by Harris Corp., uses an imaging reflectometer/radiometer with 16 sensing channels spanning visible, near-infrared and infrared wavelengths. Resolution ranges from 1,640 feet (0.5 km) in visible to 6,560 feet (2 km) in infrared from 22,300 miles away. It also produces real-time estimates of central pressure and maximum sustained winds for tracking the intensity of hurricanes, and measures the key ingredients of severe weather like winds and cloud growth to improve tornado warnings. Data will be sent to the ground in 0.14 seconds, rapidly processed and then piped out to forecasters in 4.3 seconds. Geostationary satellites are considered the most important tool in hurricane monitoring and forecasting, Uccellini said, and GOES-R promises to advance the science by improved height specifications to atmospheric winds that steer hurricanes and continuously monitor the health of the eye wall where the strongest winds are located as the storm nears the coastline. Although not yet operational by next summer’s hurricane season, Uccellini said meteorologists will be testing their algorithms at the National Hurricane Center. Asked if storms are becoming more destructive, Uccellini said: “We are becoming more vulnerable,” such as more people living along the coast. In addition the weather forecasting, the imagery will be used for detecting and characterizing wildfires, analyzing air pollution, monitoring volcanic ash clouds and assessing vegetation. The satellite also carries the first Geostationary Lightning Mapper, a Lockheed Martin-made instrument that will take 200 images per second to detect in-cloud and cloud-to-ground lightning over the Americas and surrounding ocean areas to increase the warning time for severe weather. “The lightning detector will provide an early detection of those clouds that are going to affect you and provide the first signals that severe convection is actually developing,” Uccellini said. “The doubling of the spatial resolution will be incredible in terms of the imagery — like comparing black and white TV of the 60s to today’s 4K HD imagery,” said Mary Glackin, head of science & forecast operations and senior vice president for public-private partnerships at The Weather Company. And the FAA, for example, expects to use GOES-R to gain better information on the location of turbulence, enhance the forecasts of when fog will develop or burn off that impacts airports, unravel the depth of smoke from wildfires and ash clouds from volcanoes for airline routes, and use the lightning detector to improve the visibility into storms over the oceans. GOES-R also has instruments to monitor the sun, detect solar storm eruptions and alert when the space weather arrives at Earth. Such storms can impact communications, disrupt power grids, threaten the health of astronauts and harm satellites. “GOES-R will produce new products that will boost NOAA’s ability to accurately forecast the weather on Earth and in space,” said Mandt. 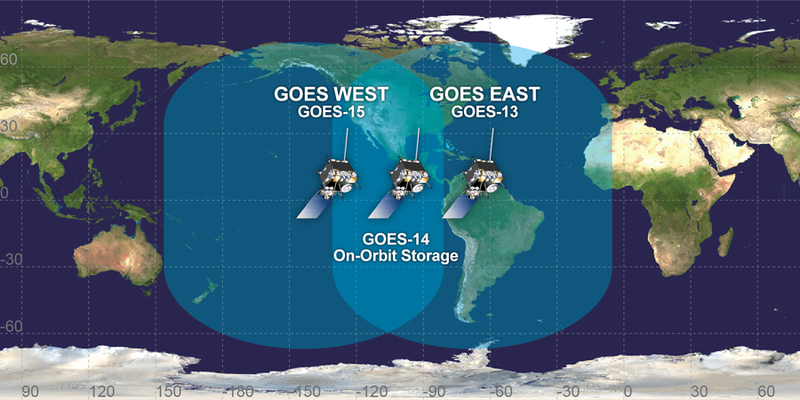 The GOES-R satellite is expected to produce 1.75 terabytes of data products daily for the National Weather Service and other users. “We are ready for this data as it flows,” said Uccellini, adding that the National Weather Service will be part of the satellite’s one-year engineering checkout and commissioning. 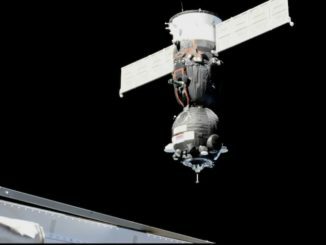 The first images from the new satellite, to be renamed GOES-16, is expected in about two months. The decision on which orbital position it will fill should come in about six months. And the craft’s commissioning and validation period should be finished by this time next year. Currently, GOES-15 is the GOES-West satellite at 135 degrees West longitude and GOES-13 is the GOES-East satellite at 75 degrees West. The GOES-14 serves as the in-space spare, parked in the middle and ready to pivot to either slot and enter service at a moment’s notice. The GOES-S satellite is due to launch in early 2018, followed by GOES-T in 2019 and GOES-U in 2024. The satellites and instruments are clones of each other. They are being built in one fell swoop with no upgrades planned. “This is a quantum leap that we’ve not seen since introduction of geostationary program in the 70s,” said Mandt.